Headaches are a symptom of pain that is located anywhere in the region of the neck or head. Headaches are extremely common but they come in all forms, shapes and sizes. 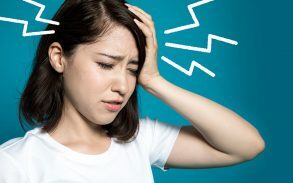 It’s important to note that, while these are the most common symptoms people may experience with headaches, that there are a wide range of different types of headaches, all of which come with their own symptoms. What Does The Video Say About Headaches? This video concentrates on a study. The significance of this study was to look at is patients who had migraine headaches and who were using medical marijuana. Through the study, these experts found that soon after patients who used medical marijuana had a decrease in their migraine headaches. Patients who consumed medical marijuana roughly went from suffering from about ten migraines per month to less than five migraines per month. The doctor in the video stated “I was actually surprised by the decrease in a migraine headache. There were quite a few patients who had used medical marijuana before the study and they and we still found a decrease”. So it would suggest that patients should talk to their doctor or their physician if they’re suffering from migraines. It would also be important to ask them if there are any drug interactions or there any disease state interactions. A lot of time, patients just don’t suffer from migraine headaches. It’s possible that they have other diseases that should be thought about as well. If you believe that this might be your case, then it’s important to seek medical help from a medical professional such as your local physician.